There are not many climbing places in the UK quite like Stoney Middleton; a combination of magnificent cliffs, easy access, balmy micro climate, a cafe and three pubs, all within easy access of major cities like Manchester and Nottingham and, in particular, Sheffield from where the number 84 Buxton bus dropped you outside The Grouse Inn on a dark Friday night. That is how it was when I first arrived there in September 1962, a 15-year old schoolboy about to set out on an adventure that would last a lifetime. 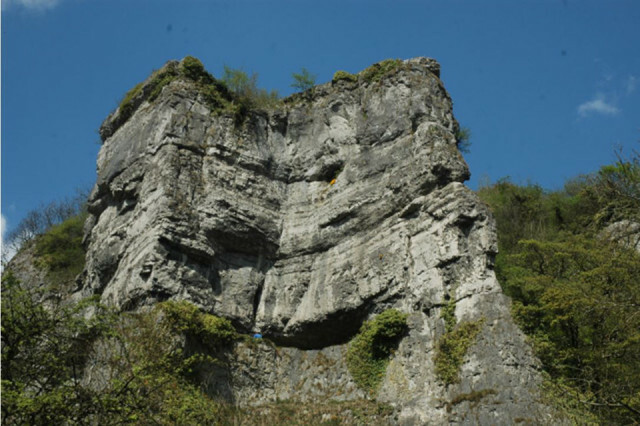 There were many attractions to Stoney Middleton that made it one of Britain’s most popular rock climbing venues for some 30 years from the 1960s right through the ’80s, in particular convenience. 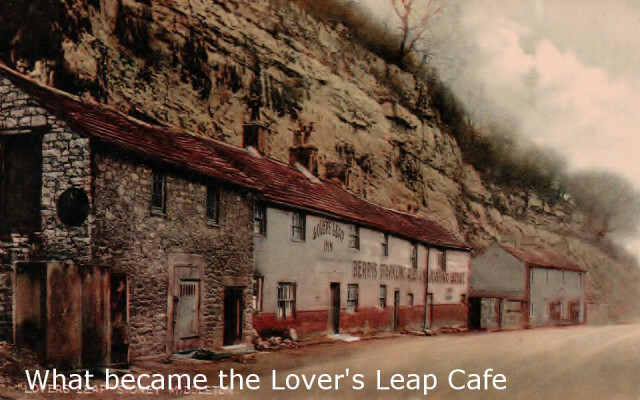 Here, there were the human creature comforts of adventure cushioned by companionship, warmth, even a few pubs and of course the Lover’s Leap Cafe, that eponymous watering hole known as ‘I’ll see you at the cafe’; not Hathersage or Matlock but Stoney. On a Sunday morning, it could be impossible to get a seat in the Lover’s Leap and the overspill would spread along the pavement with climbers from all over the UK or even California or Australia. For whatever reason, it was the place to be, to climb, visit or meet up as a hub to venture elsewhere, like a trendy hang-out to see or be seen and the cynics might quite reasonably shrug their shoulders and ask ‘Why?’; after all, lorries trundled past a few feet from where you stood on that pavement, the dust from quarrying was all-pervasive and there were times when the siren would sound and you had to stop mid-climb to wait for the inevitable roar of explosives. The rock was high, loose, slippy when wet and often on the dangerous side of sanity. Then again, for the Pollyannas of this world, Stoney Middleton offered adventure which is what rock climbing is supposed to be about. Whilst the gritstone edges had by then been well-trodden up to a certain grade, limestone was largely unexplored and offered an escape to a faraway place in the imagination. Then there is the sub-tropical ambience of the place where I can envisage banana plantations prospering in the now abandoned quarries. Truly, Middleton Dale does have a mild climate which is due to various characteristics. It is relatively low-lying, the climbing mostly south-facing and the dale does not end abruptly to face the predominant westerly winds but tapers gently uphill towards a crest wrapped in dense woodland allowing the prevailing weather to gently sail over the top. A place where, when all other Peak crags are knocked out by bad weather you might still be able to find a dry sheltered wall. Not only was it easy to get to by bus but, as cars became the norm, it literally became doorstep climbing as in those days you could lazily drive up The Promenade to a point where you could belay whilst still sat in the driver’s seat. The arrival of New Age Travellers to Horseshoe Quarry in the 1990s and their imminent eviction hastened the blocking off of all vehicular access to the crag. Since 1933, Stoney kept hitting touchstones of hard climbs of national significance from The Great Ridge, Jasper, Our Father and for sheer exhilaration The Flakes. It wasn’t just for the fine climate and convenient cafe that Stoney set the pace but the characters it attracted who took the opportunity to make its mark on the history of rock-climbing. These last few years have seen a decline in interest as bolted safety routes distracted the thrill seekers elsewhere to softer options whilst indoor climbing walls soaked up bad-weather-day climbers instead of them chewing the fat in the cafe all weekend where history was written, rewritten and even invented.